BlocBoy JB turned himself over to authorities in Shelby County, Tennessee today on four criminal charges, Fox 13 Memphis reports. The rapper born James Baker faces one felony count of marijuana possession, one felony count of handgun possession by a convicted felon, one misdemeanor count of drug paraphernalia possession, and one misdemeanor count of property theft, according to jail records. His bail was reportedly set at $50,000 and his next court date is scheduled for tomorrow. BlocBoy released his latest mixtape Don’t Think That last October. His breakout tape Simi dropped in May; read Spin’s review of that project here. The rapper has made news more recently with a different legal battle against Epic Games, creators of the hit video game Fortnite. 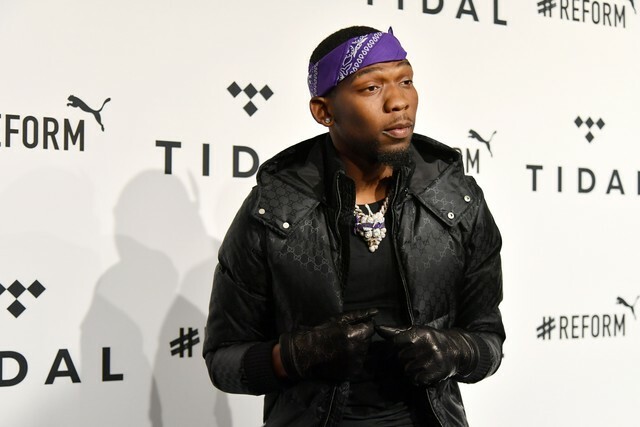 BlocBoy sued the company in January alleging the game improperly features the so-called “Shoot” dance that he is widely credited with popularizing. Several others have also sued Epic for featuring choreography which complainants claim to own.